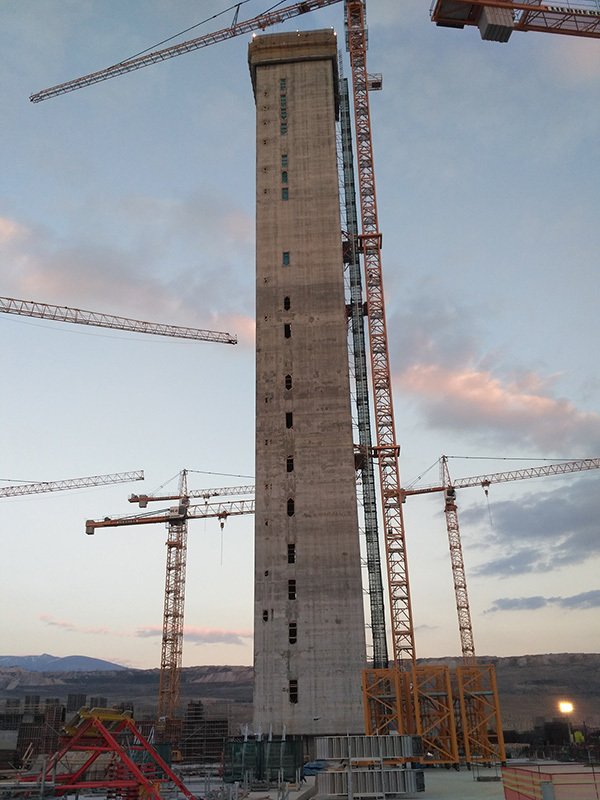 Construction of 2 towers, 143,50m high and 12,80x12,8 m floor plans with internal partitions at the 5th PPC unit in Ptolemaida. There was a climbing ladder and a lift for the staff. At the lower 40.00 meters the towers would be connected to the building that would be built afterwards. 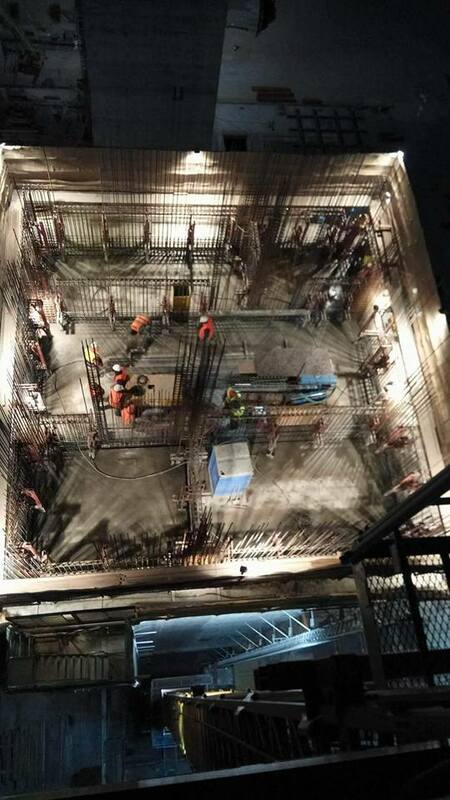 A special slipform shuttering was made so that horizontal reinforcements protruding from the slipform shuttering were placed in the slide without bending. During sliding, a special membrane was also placed on the outer surface to create a rough joint surface. Inside, A-type yokes were placed to facilitate the movement of the crane conveyor. Perpendicularly placed type B yokes with perimeter raised floor outside.